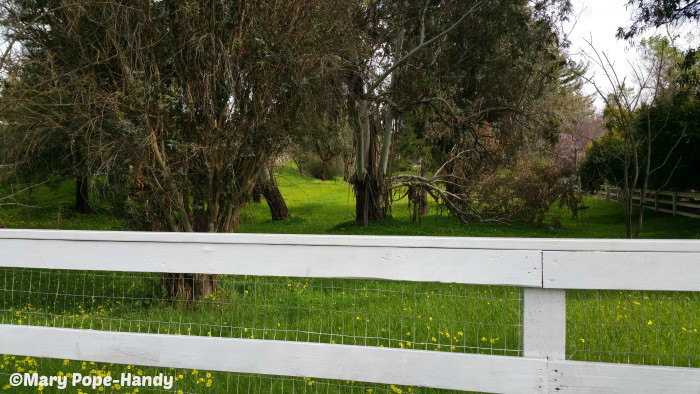 The Loma Serena neighborhood in Monte Sereno is semi-rural, and it enjoys the distinct advantage of being an equestrian community. 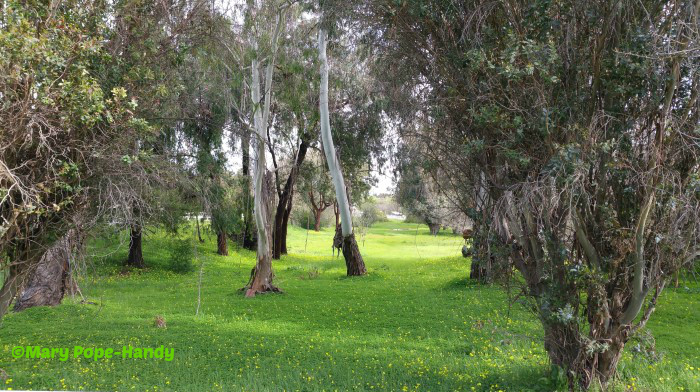 This community offers horse trails and a stable which can be rented by home owners in the community. This is a wonderful plus, as many equestrian areas feature homes that are perhaps a little more rural, on larger lots, and which feel less like a neighborhood. Loma Serena enjoys both the neighborhood feel and the community trail and stables. It’s the best of both worlds. Where is the Loma Serena neighborhood? The Loma Serena subdivision is located partially along and just off of Daves Avenue in Monte Sereno as well as on and near Vineland. It is adjacent to the Twin Creeks neighborhood to the west and is just south of the English Oaks neighborhood (in Los Gatos). Loma Serena is within the Los Gatos Union School District (most of Monte Sereno is, but part is within the boundaries of the Campbell School District). 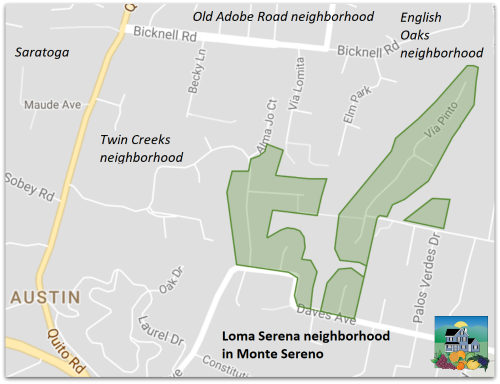 What are the homes like in the Loma Serena area of Monte Sereno? There are 89 parcels (one vacant parcel, the other 88 with a house built), and 85 of them are part of tract number 3393, for those of you interested in doing some research yourself. Most houses were built between 1964 and 1975 (the marjority in the 60s) as ranch style homes. The living space ranged in square footage from 2100 or 2300 up to about 3200 SF. Many have since been either rebuilt or enlarged and remodeled extensively and may not look like ranch or ramblers today, but driving through the area, it’s predominantly still single story, larger, unpretentious ranch style houses. Today, a few properties have more than 5,000 SF and the average home size is 3286 square feet. Most have 4 or 5 bedrooms, but some have as few as 3 bedrooms, and a handful have 6 bedrooms. In addition to a more typical ranch style house, in this area you will also find some striking modern and contemporary 2 story homes. Lot sizes average about a half acre – most homes sit on parcels of 20,000 to 25,000 SF, but a few are bigger. The average, by my calculation, is 25,550 SF. What does it cost to buy a home in this scenic community? Like most of Monte Sereno, real estate prices are high here. For most properties, values will run between $3 and $4 million, but larger estate like homes which are rebuilt or extensively remodeled and expanded could fetch more than $4 million. A small, “all original” home needing a lot of work might possibly go for less than $3 million, depending on many factors. This is a small pocket, and turnover is low! See also the Altos Research weekly real estate market report for Monte Sereno (updates automatically). Below, I tried to map the neighborhood on the program which allows to to display listed, pending, and sold properties here. My map may not be 100% correct, but the homes showing will give you a general idea of the real estate pricing in Loma Serena.